Nothing is stopping Jessie Chung from breaking barriers. After the successful debut of her English album There You Are***, she is back with another new album Be Strong in only a few months! 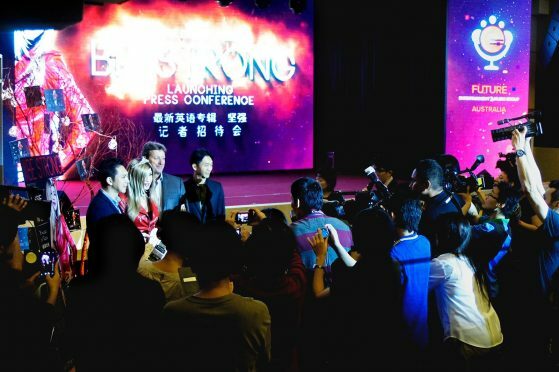 Gary Scallan, CEO of Future Entertainment and Music Group Australia flew all the way to Malaysia to join Darren Choy, managing director of Warner Music Malaysia and Singapore for the Be Strong album launching. Together, they presented her a diamond-studded electric guitar, and put a crown on her to mark her new “Princess of Rock” title. “We see in Jessie an incredible potential in the pop-rock genre,” said Gary. “Jessie is, and will, become the new-generation Princess of Rock,” he added. Formerly known as “Detox Princess”, Gary believes that Jessie will live up to her new “Princess of Rock” title. Managing director of Warner Music Malaysia, Darren Choy admires Jessie Chung for not being conformed to the so-called ‘standards’ of society. “She is not afraid to be herself, and that is what fascinates us the most. She made her mark in the music scene by her own hard work, and is now striving towards the pinnacle of her career. Jessie performed astoundingly in the pop-rock scene, and I’m sure she well-deserved the ‘Princess of Rock’ title.” said Darren. Despite still recovering from sunburns that she got while filming Be Strong music video in the Pinnacles Desert and Lancelin, Australia, Jessie attended the press conference flawlessly, wearing a FaceAward diamond watch, which she has endorsed recently. Jessie couldn’t help but to spill the beans of going braless for the first time, “At that time, I finally overcame my fears by donning a halter top. However, the director wasn’t really satisfied, so he asked me if I was willing to go braless, and I said yes! All for delivering a great music video!” she said. The thought of going braless never came to her mind before, so she had to be ready on the spot. She didn’t even notify her husband about it. “I really gave the music video my all!” said Jessie. Fully produced in Australia, Be Strong includes seven tracks and is set to give a new kind of experience to Jessie’s existing and new fans. Aside from 15 showcases in Malaysia alone, Jessie will embark on a world tour to Taiwan, Australia, London, New York, Canada, Japan, Hong Kong, Singapore, China, Philippines, Thailand, Indonesia, and other places to promote her latest offering. Be Strong Tracklist: / 1. Be Strong / 2. Captured My Heart / 3. Forever Young / 4. Possibility / 5. I Don’t Care / 6. Love Is Coming Home / 7. Feel My Love. Two singles Be Strong and Forever Young are released along with the music video on YouTube recently. ***There You Are, Jessie Chung’s album prior to Be Strong, is one of the best-selling albums. Being the only Malaysian to be on Taiwan’s Five Music International Chart, Jessie Chung topped artistes like Sia, Ariana Grande and Celine Dion. She ranked higher than Lady Gaga on Taiwan’s iRadio International Chart. 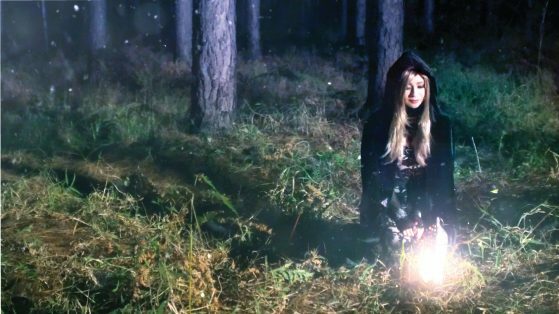 Her music videos exceeded 3 million views on YouTube within 2 months of release.